NEW ORLEANS – A member of an ethnic and cultural heritage organization is suing an administrator alleging he circulated a defamatory newsletter to the general membership. Dr. Sanjeeva Reddy filed suit against Nageshwar Rao Ankamma in the Orleans Parish Civil District Court. Reddy claims the North American Telugu Association, known as NATA, is a corporation with its primary purpose to preserve and maintain the Telugu culture, language and heritage.. The plaintiff alleges the Telugu Community organization is also responsible for organizing public events. In 2011 and 2012, the plaintiff contends they held the position of president-elect of NATA and served as president in 2013-2014. In 2014, the defendant allegedly began to circulate a newsletter discussing the lawsuits that he is a party to in California and sent it to the members of NATA, many members of which lived in the New Orleans area. In the newsletter the plaintiff alleges that the defendant made derogatory statements and insults against members of NATA as a whole. Reddy contends that on Dec. 31, 2014 the defendant caused a correspondence via electronic mail to be sent to several thousand members of NATA, some that reside in Louisiana. 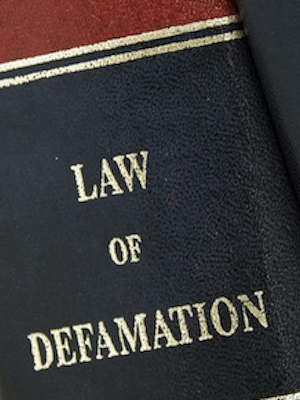 The plaintiff further alleges that the false and defamatory written statements made by the defendant were made maliciously and with intent to destroy the plaintiff’s public reputation. The plaintiff contends that the defendant wrote statements saying how the plaintiff was an “election fraud” among other things. An unspecified amount in damages is sought for damages as reasonable in the premises, all costs including attorney’s fees and court costs, and general and equitable relief deemed appropriate by the honorable court. The plaintiff is represented by David W. Nance, David W. Nance Law Firm, LLC. The case has been assigned to Division M Judge Paulette R.Irons.